We're getting back to basics with this simple yet elegant mandala, Sweet and Simple Mandala. This week's free coloring page is now available for download by clicking on the link below. If you'd like to share your finished page, post it to your Instagram account and tag me: @kelly_dietrich. 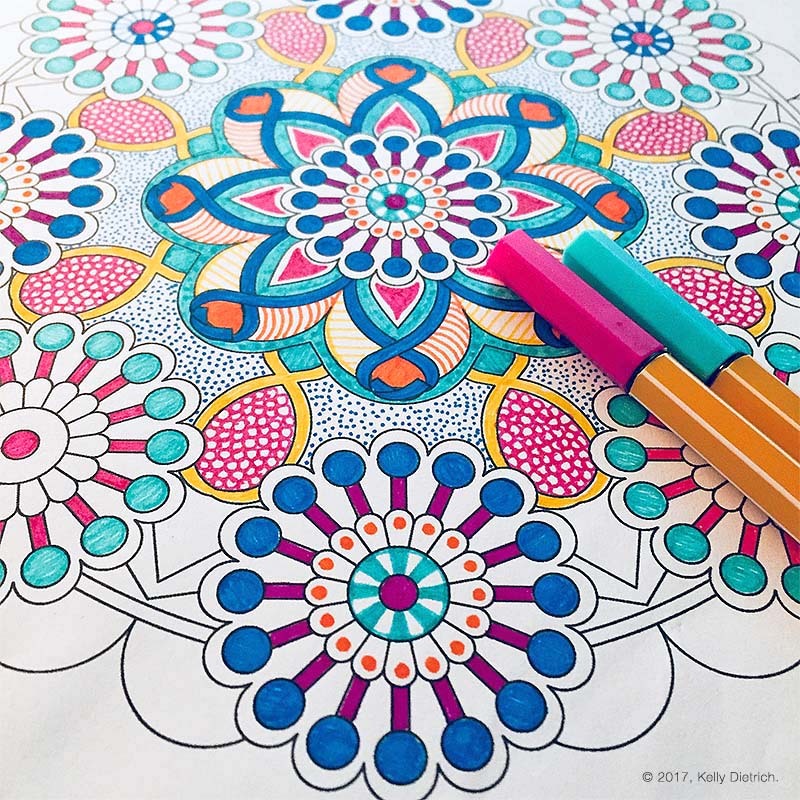 Swing by next week for a new mandala coloring page! 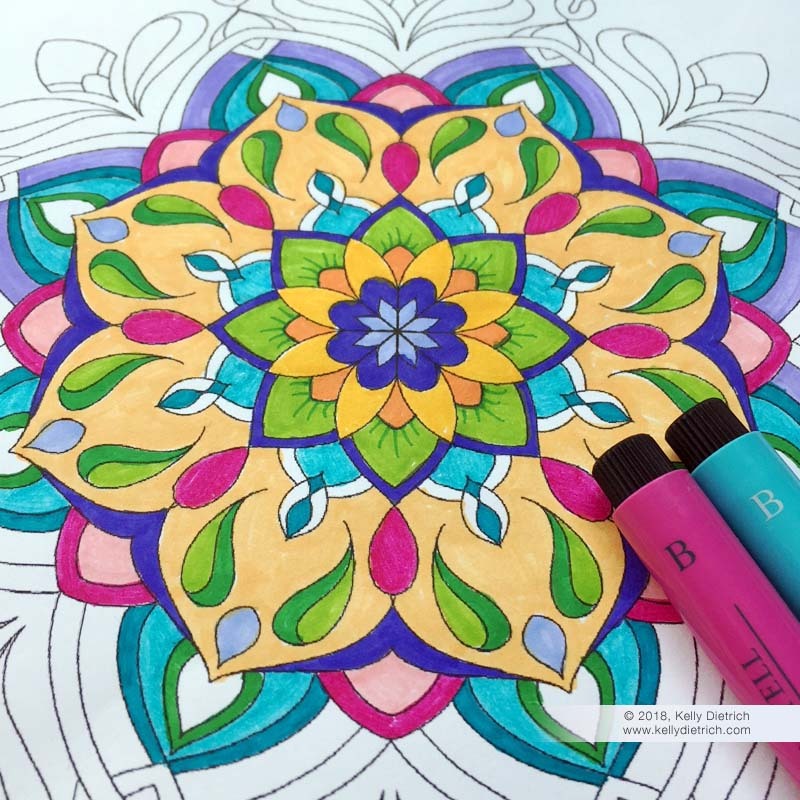 Look for a new addition to my Coloring Mandalas book series on Amazon soon! I've been drawing and doodling whenever I get the chance this year, whether it's while watching tv in the evening or while I'm waiting to pick my son up at the bus stop. I've managed to get quite a few images, and I'm planning on using them to create a new coloring book. Yay! I'm planning on working on the book in my free time throughout November, and hope to make it available for purchase by the beginning of December. As I get further into designing the book, I'll post another update with a real target date for release. Stay tuned! In the meantime, check out my earlier coloring books on Amazon.